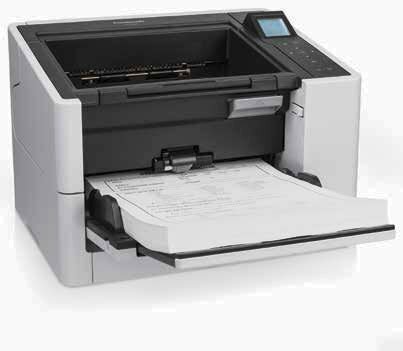 The Xerox DocuMate 152, color sheet fed duplex document scanner, scans up to 18 pages per minute (ppm) and 36 images per minute (ipm), includes a 50-page automatic document feeder and has the ability to automatically scan documents in searchable PDF files. The Xerox DocuMate 152 is designed specifically for desktop use and incorporates Visioneer OneTouch technology for eliminating multiple steps in sending scanned documents to predetermined applications or devices. 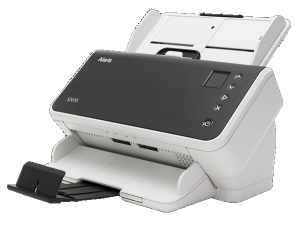 The DocuMate 152 is a hi-speed, duplex color scanner that offers convenience and connectivity. With an amazingly small footprint, the scanner fits comfortably on any desk making it the perfect solution for small and large paper intensive businesses. The DocuMate 152 has the capability to quickly convert paper documents into searchable PDF files that are easily shared, organized and protected. The DocuMate 152 features reliable paper-handling from business cards and checks to legal-sized and other long documents, as well as high speed USB 2.0 connectivity. 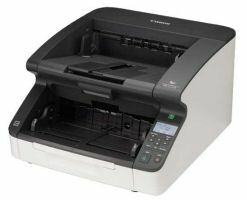 The Xerox DocuMate 152, color sheet fed document scanner, scans up to 36 images per minute (ipm) in duplex mode, includes a 50-page automatic document feeder and has the ability to automatically scan documents into searchable PDF files. The Xerox DocuMate 152 was designed specifically for desktop use and incorporates OneTouch technology for eliminating multiple steps in sending scanned documents to predetermined applications or devices. The scanner offers a professional software bundle that includes ScanSoft PaperPort and OmniPage Pro. It also ships with an advanced TWAIN driver developed by JFL Peripheral Solutions to enable communication with advanced electronic content management (ECM) software applications. The Xerox DocuMate 152 includes an advanced TWAIN driver that will allow you to communicate with hundreds of enterprise content and document image management (DIM) software solutions with the press of a single button. The TWAIN initiative was originally launched in 1992 by leading industry vendors who recognized a need for a standard software protocol and applications programming interface (API) that regulates communication between software applications and imaging devices (the source of the data). Find and view email, files, attachments, and contacts as fast as you type! X1 brings advanced search capabilities to the desktop for files, email and documents. X1’s award-winning interface allows users to find any document (over 370 types), email, attachment, contact or file as fast as you can type - even if the application doesn't exist on your computer. Since the DocuMate 152 enables scanning to searchable PDF, even your scanned documents are instantly searchable, along with all your other “born digital” files. Proven in hundreds of thousands of deployments across 10,000 organizations, X1 provides fast access to key data without compromising corporate security policies. Information can now be retrieved, accessed and even repurposed instantly regardless of how it originated. The Xerox DocuMate 152 software bundle allows users to automatically scan to image over- text searchable PDF. Searchable PDF maintains the visual integrity of the original document, with the text portions of the image converted via OCR for search purposes and stored in a separate layer. This allows for low cost conversion from paper to PDF, while permitting easy distribution and ability to search, link, select/copy and index the text. The DocuMate 152’s PaperPort software lets users convert existing electronic files to PDF for storage or transfer. Supported file types include Microsoft Office, Corel, and AutoDesk documents, as well as the popular TIF, MAX, JPG, and BMP formats.